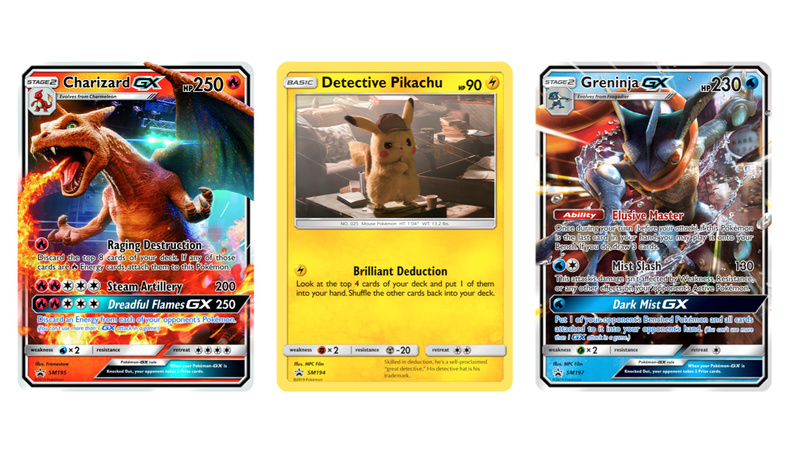 Earlier this month, we shared the news that a special set of Pokémon cards had been announced to tie in with the upcoming Detective Pikachu movie. Now, we can have our first look at what these cards, and even their packaging, will look like. 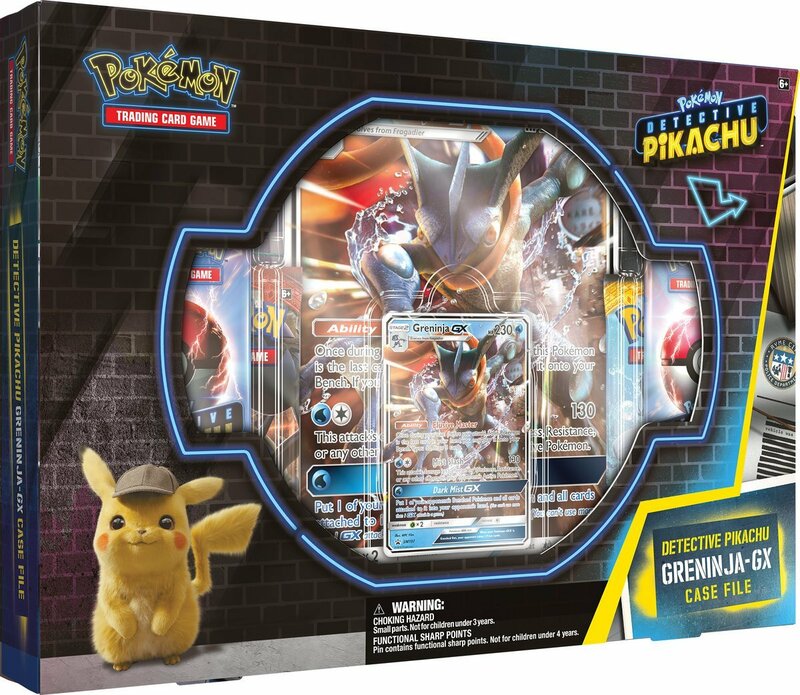 Firstly, in the image above, you can see exactly how the cards featuring Detective Pikachu, Charizard GX, and Greninja GX will look. We have to say, the "realistic" visual style actually suits the card format really nicely. 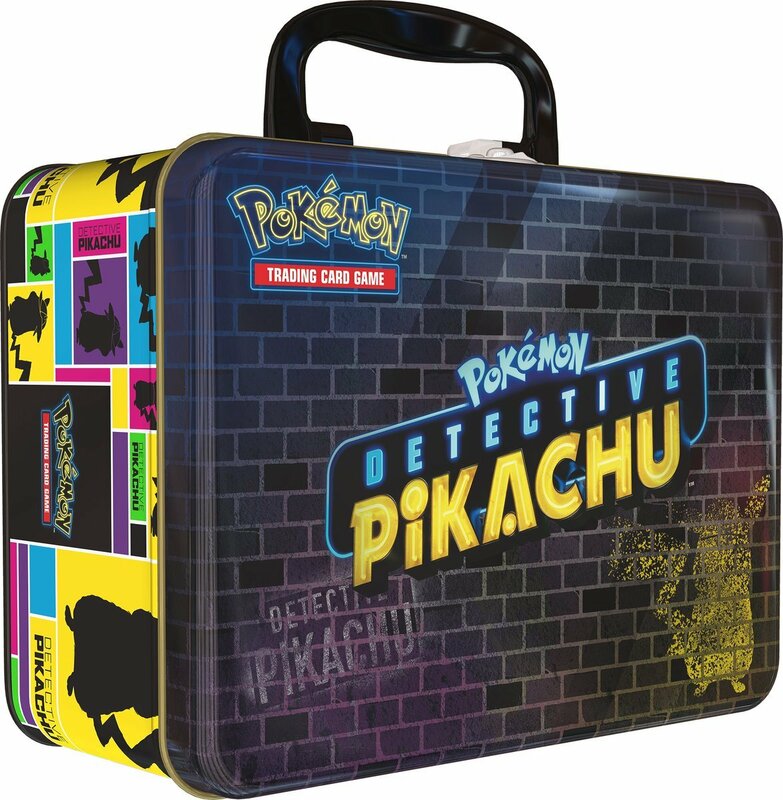 That's not all, though, as we also have images of three 'Case File' sets for each of those three characters and a special Collector Chest. You can check them out for yourself below, as well as a description of all the goodies you'll find in each one a little further down. 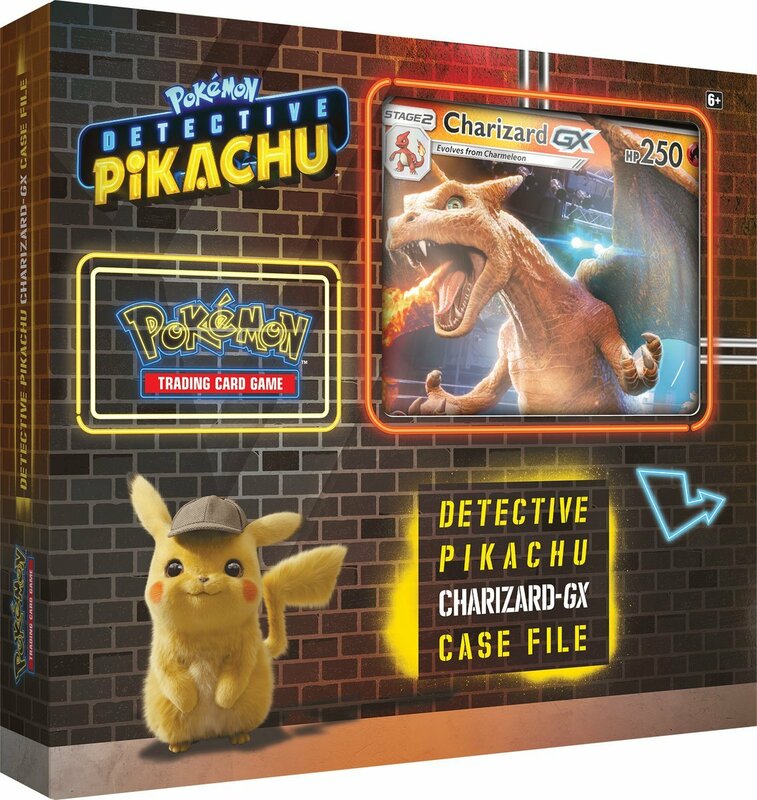 The new Detective Pikachu set will be available from 5th April in the US and 29th March in international markets; it'll contain 26 cards featuring Pokémon from the movie. Would you like to get your hands on these cards? Which of the three above is your favourite? Tell us below in the comments. @LilDoggo48 exactly! haven't bought pokemon cards for years now... but those look legit good! Wow, you guys were on the ball with these! I follow Pokémon TCG stuff pretty closely, and these were definitely not revealed until this morning. Good on you for being on time with your news once again, NL! Wait, when Greninja's Ability says "play it on your bench" does it mean it doesn't have to evolved? It doesn't state "play it on your bench as a Basic Pokemon." I haven't really gotten back into the TCG in a year, outside of picking up a pack from time to time. I might pick these up tho. They look really nice! 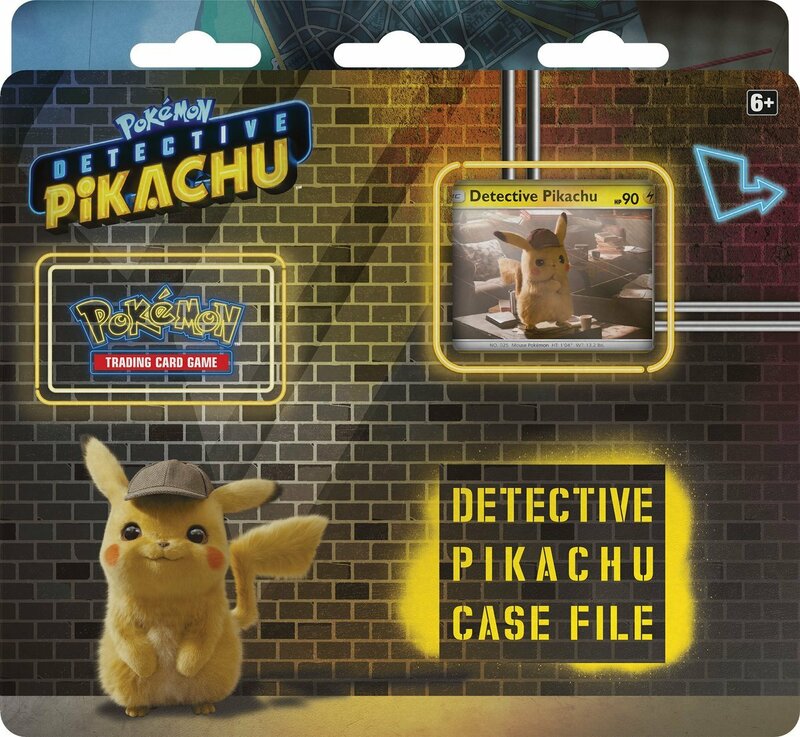 The fact that the Detective Pikachu card has no attacks is a nice touch. this is a pretty smart way to promote a movie base off a game. I just wish Pokemon cards go back to the same prices like about 10 years ago. One of the reasons why I stop buying them. I really hope there's a theater promo card like the Ancient Mew card for Pokémon 2000. I would love to just have a complete set of Pokémon cards but at this point in time that's just nearly impossible. @IceEarthGuard Same could be said about the HP and damage values. 250 HP and damage is ridiculous compared to the original base set cards. 120 HP was the highest you could get. I remember when Gen 3 cards came out and I got a Wailord ex card. It had 200 HP. It felt really special back then. I've been playing Fire Emblem Cipher a lot lately and it has much better balance. Attack values are always something between 0 and 80. Skills are varied and useful. All cards serve a purpose. That is what it means (and it still counts as a stage 2 Pokémon when in play) A nice 1-of in decks with fast builds. Not really something to build a deck around since you could end up with multiple in your hand, not very reliable. Neither one of these cards seem too amazing. Some recent GX cards are extremely overpowered. @Late I do agree with that too. These look cool. My youngest son likes Pokémon cards but he buys them to collect primarily the EX and other special cards. We used to casually play but he's lost interest in playing so I told him that buying the cards is a waste for us now. I have a feeling that he will see these and want to buy them.....especially after seeing the film, which we are very excited to see. @Luffymcduck It's a GX card, they all can be played without evolving AFAIK. Not that I've played in forever, but I assume they're a rebranded EX card. @SethNintendo Alright disregard what I said. I got confused heheh. And yes I meant liter. Nope, they work differently than EX. They evolve like regular stage 1 & 2 Pokémon (look at the symbol and text at the upper left corner) The thing they have in common with EX is that your opponent takes 2 prize cards when a GX has been knocked out, also stronger attacks and better HP. The earliest ex generation also had to be evolved. Also let's not forget the Mega-EX Pokémon. There are some work arounds, like the Rare Candy item which let's you put a stage 2 on a basic Pokémon. I am far too long out of the Pokemon TCG metagame. I couldn't keep playing because it just isn't worth it to spend the money and time buying boxes of real cards for codes to play online. It is just so expensive to play this game seriously. Most top tier decks require 4-12 of the highest rarity cards, but buying a boost box you might only get 3-4 (by old standards anyway, they may have changed it) and there was no way to know even if they would be the right cards for the deck you want to build. The alternative of buying individual cards was never pleasant either, because the cards you would want for competitive play were always very expensive, 20-30 dollars a piece! I don't play Magic the Gathering for similar cost reasons. I feel Hearthstone is the most affordable card game I have enjoyed by quite a lot. Generally speaking a single pre-order for 50-80 bucks per expansion gets me nearly the entire set. And that is much less than one booster box of Pokemon that will leave you wanting many important cards. Every time I see a new Pokemon card I feel like I'm 90 years old. I'm definitely buying these instead of the New Team UP Cards. @alasdair91 You cant definitely see what the Pokemon is though and the attacks. that all you really need.